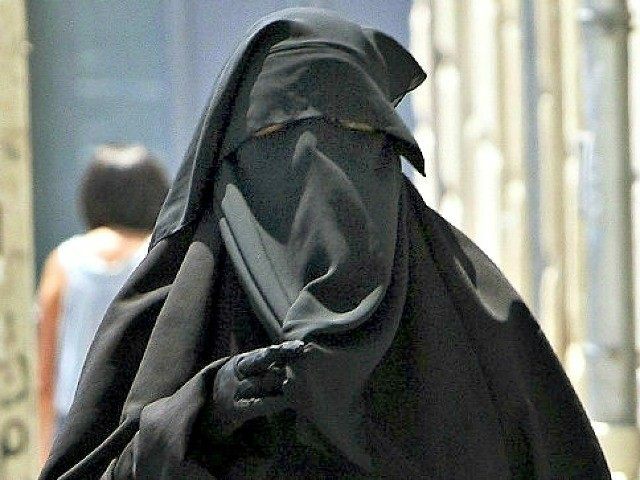 Islamist terrorists, particularly in Africa, have used the burqa as a disguise while coordinating and executing terrorist attacks. Senegalese officials contend banning the garment will prevent would-be terrorists from having an easy time disguising suicide bomb vests or weapons under the flowy outfit. “We should not allow someone to cover their entire body like terrorists do. This is a tradition of some countries but it has nothing to do with Islam,” said Senegalese Muslim member of Parliament Mbaye Niang. Interior Minister Abdoulaye Daouda, who announced the new law, also explained the decision as one of national security. In local media, Daouda warned that this could be the first in a series of new laws intended on increasing security and preventing terrorist attacks. “In this prevention, there are some of our attitudes, some of our activities, some people may need to change,” he warned. Senegal, located in West Africa, has yet to suffer a terrorist attack attributable to Boko Haram, which pledged allegiance to Islamic State “Caliph” Abu Bakr al-Baghdadi earlier this year. It does not border any countries that have, though Mali shares a border with both Senegal and Niger, which has become a target for the terrorist group. This month, though, police arrested a number of suspects believed to have ties to the group, and appear to have evidence that Boko Haram seeks to expand east into Senegal. According to Nigeria’s Premium Times, two female suspects and two imams have been arrested this November. The women were believed to have ties to the terrorist group, while the two imams had made questionable public statements during sermons that had alarmed authorities. “His sermons have been strangely inclined towards ‘instigating’ his congregation towards BH ideologies,” a security source told the Premium Times of one imam, Alioune Ndao. Ndao had two satellite phones in tow upon being arrested. Senegal is the latest in a string of African countries to ban the burqa. Chad passed a law banning the garment in June, forcing all clothing stores to burn their inventories and threatening to arrest anyone wearing them, after a Boko Haram terrorist used one to hide a suicide bomb. By July, however, authorities had stopped enforcing the ban so stringently, and a male Boko Haram terrorist dressed in a burqa executed a suicide bombing, killing 15, in the Chadian capital of D’jamena. Cameroon followed Chad’s lead in banning the burqa in July, following a series of Boko Haram orchestrated attacks within its borders. The ban followed a suicide attack that killed 13 in Fotokol, northern Cameroon, orchestrated by two burqa-clad women. In May, the Democratic Republic of Congo banned the burqa, though for different reasons. Congo borders the Central African Republic, where major civil strife has forced thousands of Muslims to flee. Fearing some of these Muslims may be radical Islamists, Congo banned the burqa and the practice of sleeping in mosques, to prevent them from collusion. Outside of Africa, regional bans on the garment have been imposed in China, Spain, and even contemplated last year in the United Arab Emirates, following the stabbing murder of an American citizen committed by a terrorist donning the burqa. Before the modern rise of radical Islam, nations like Turkey, Egypt, and Iran had also largely done away with the practice of wearing the burqa, though not legally.